Louisa Lytton is returning to EastEnders after twelve years away. Lytton first appeared in EastEnders in 2005 as the rich teenage daughter of notorious gangster Johnny Allen. She was unaware of exactly how dodgy her father was and quickly became best friends with the teenage Stacey Fowler (then Slater). The pair stayed close friends as Ruby became embroiled in her father’s feud with Phil Mitchell, eventually culminating in the death of Johnny. After her father’s death, Ruby grew close to Stacey’s brother Sean but later realised his intentions were less than amorous. Her relationship with Stacey was shattered as she finally left Albert Square. Twelve years on from her departure and now a confident and mature adult, Ruby will try to reconnect with Stacey when she returns later this year. However, her reasons for returning may not be exactly as they seem. Speaking about her Walford return, Lytton said: “EastEnders was my first acting job out of drama school and opened so many doors for me. “It’s wonderful to be given the opportunity to come back and explore my character and I’m excited to see what’s in store for Ruby. EastEnders exec John Yorke added: “Louisa is a fantastic actress and I am delighted that she is returning to EastEnders. EastEnders continues tonight on BBC One at 7.30pm. Eastenders will insert real-life knife crime testimonials into its upcoming Shakil Kazemi funeral episode, breaking with its traditional format. 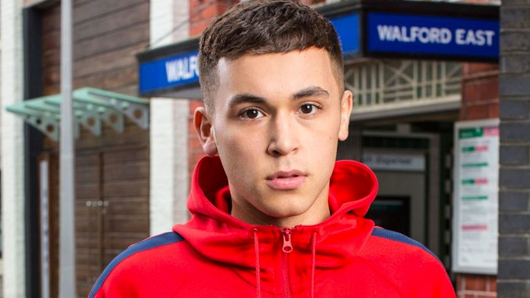 Shakil, played by Shaheen Jafargholi, tragically died last month after being the victim of violent knife crime. The story was heavily researched and inspired by several real-life crimes, some of which will be shared in Shakil’s funeral episode. Eastenders exec John Yorke said: “From the very beginning we were determined to treat the difficult subject of knife crime in a responsible, non-sensationalist way. “We started out with detailed research, and the more stories we heard the more we felt other people should hear them too. “The episode gradually evolved into something unique for EastEnders — real families telling their own devastating stories alongside our own characters. Viewers moved by the real-life stories will have the opportunity to learn more about those featured in the episode with a series of short films available on BBC Three. Eastenders airs tonight on BBC One at 9.10pm. If you missed last night’s EastEnders, we’ve got your back! We picked up from last week’s duff duff, which saw Stacey’s children taken away from her after the meddling Carmel began to suspect she was abusing them. However, could Carmel have made a mistake? Here’s our recap of the events of October 9, 2017! 3. Could Carmel have made a terrible mistake? EastEnders star Davood Ghadami is the latest name to join this year’s Strictly Come Dancing. The actor, who plays Kush Kazemi in the soap, was first revealed to be joining the celebrity dancing competition by The Sun. A source said: “Davood is this year’s heartthrob and bosses are delighted he’s signed up. “Soap stars, particularly from EastEnders, have done really well on the show previously. The BBC confirmed the signing later this morning in an official Tweet. Davood is the latest in a long line of EastEnders stars appearing in the programme, including Scott Maslen (Jack Branning), Jake Wood (Max Branning) and 2015 runner-up Kellie Bright (Linda Carter). Unfortunately, Eastenders‘ Tameka Empson (Kim Fox) was voted off the show in the second week in 2016. Ghadami is the second of this year’s contestants in the race for the Glitterball trophy, after The Saturdays singer Mollie King confirmed she would be taking part. She said: “I’m a huge fan of Strictly Come Dancing so I can’t actually believe I’m lucky enough to be taking part in it this year! King follows in the footsteps of bandmate Frankie Bridge, who achieved Runner Up in 2014. Strictly Come Dancing returns in September. EastEnders boss Sean O’Connor has teased a “game-changing” storyline for the soap which will be something no soap has ever dared before. While the nature of the plot and any details are being kept closely under wraps for now, O’Connor revealed the new storyline was ambitious in scope and would involve both new and old characters. “No show has ever attempted what we’re planning to do in the next few months. It’s massively ambitious – and crucially – it’s something that only EastEnders would or could do. O’Connor took over the reigns of the London-based soap last June and has not been shy of shaking things up. He famously killed Mitchell sisters Ronnie and Roxy off in a tragic swimming pool accident and also shocked fans with a story where a bus drove through the centre of Albert Square. EastEnders airs on BBC One Mondays and Fridays at 8pm and Tuesdays and Thursdays at 7.30pm. EastEnders just released a teaser trailer for its explosive Spring lineup… and we can’t wait for more. The new trailer teases continuations of existing storylines, including Charlie’s bid to claim custody of Matthew and Lauren’s flirtations with her new boss in Canary Wharf. It also gave us our first glimpse of several new characters, including the recently announced Taylor family – who seem to immediately get on the wrong side of Stacey Fowler! Jack’s misery looks set to continue as the trailer shows him in questioning by the police for attacking Charlie, who later appears with a black eye. What does the dastardly Max have planned for them? Meanwhile, Steven will face the pressure as he becomes more and more suspicious of girlfriend Lauren, who has been flirting with her new boss for weeks. The trailer teases a breaking point where he confronts Lauren’s sister Abi about what’s going on. Elsewhere, Whitney tries to put on a brave face after she’s hit with the news Lee wants a divorce. She’s seen getting closer to new bar manager Woody before Mick finally returns to the Queen Vic – and Linda isn’t far behind! EastEnders airs at 8pm Monday and Fridays, and 7.30pm Tuesday and Thursdays, on BBC One. EastEnders is introducing a brand new family to the soap this Summer, played by some familiar faces. 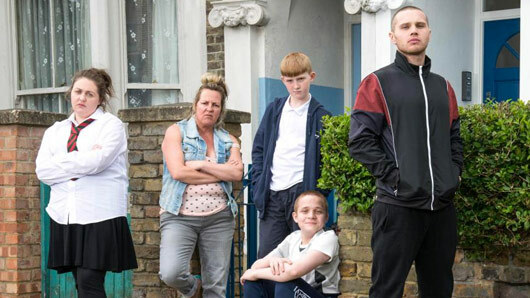 Lorraine Stanley will portray Karen, the loudmouthed head of the new Taylor family, comprising single mum Karen and her four children Keanu (Benidorm‘s Danny Walters), Bernadette (Clair Norris), Riley (Tom Jacobs) and Chatham (Alfie Jacobs). Karen also has an older daughter, Chantelle, who lives separately with her two children but is sure to appear at some point when the Taylors need more drama! If you recognise Lorraine, it’s probably because she appeared for a guest stint on EastEnders last year. She portrayed the mother of Star, the 14-year-old girl that Jay unknowingly started a relationship with. The Taylor family are described as tight-knit, brash but with real love buried beneath the surface. Sounds like they’ll fit right in in Walford then! EastEnders executive producer Sean O’Connor said: “I’m hugely excited at the arrival of Karen and her family in Albert Square. They’re noisy, brash and not to be messed with. “Karen is a twenty-a-day lioness, bringing up her kids with no support, no money and a very loud mouth. But though they may lack cash, the Taylors have love and warmth in spades. EastEnders is lining up Charlie Cotton for another shock 2017 return. Charlie Cotton, portrayed by Declan Bennett, has not appeared on-screen since 2015 when ex-wife Ronnie (Samantha Womack) scared him away from Walford and custody of their son, Matthew. It was heavily implied the devious Ronnie sorted him out using nefarious means, but later Roxy Mitchell (Rita Simmons) discovered he was alive and hiding out abroad. However, given that Ronnie and Roxy both died a shocking swimming pool death on New Year’s Day, leaving stepdad Jack Branning (Scott Maslen) in charge of Matthew, we’ve suspected it was only a matter of time before Charlie returned to the picture. New pictures taken by paparrazi reveal that Bennett is currently filming scenes with Jake Wood, who plays Jack’s conniving brother Max in the London soap. Max returned to Walford late last year with seemingly little fanfare, despite the fact that he was supposed to be mad at his family for knowingly allowing him to be incarcerated for a crime he was innocent of. It was later revealed that Max is plotting to bring them all down, but not exactly what evil plans he has in store. Bringing Charlie back into the mix could easily be a way to further manipulate his grieving brother Jack. Could the pair be in cohorts to retrieve baby Matthew? Despite the pictures of Bennett on set, an EastEnders spokesperson refused to confirm Charlie’s return and what might be the reason for it. 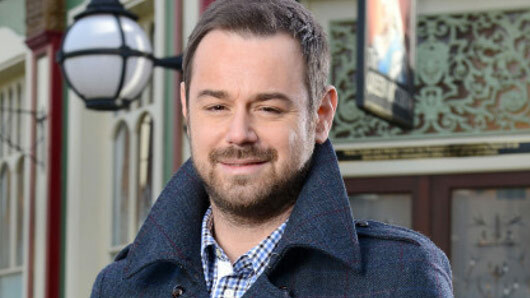 Danny Dyer will take a break from EastEnders later this year. Bosses have agreed to give the Mick Carter actor time off to spend time with his family after working non-stop since his arrival in Walford in 2013. His on-screen partner Kellie Bright, who portrays Linda Carter, is also currently on a break from the soap after welcoming a baby boy late last year. It’s not clear when Mick will be off screens but the break may coincide with the departure of Mick’s son Lee, played by Danny-Boy Hatchard, later this month. The troubled Lee is expected to depart Walford in the next few weeks after an agonising struggle with depression and debt. Dyer’s portrayal of pub landlord Mick Carter has made him a firm favourite amongst fans of the soap. In the years since his arrival, Mick has accepted his son Johnny as gay, protected and defended his wife Linda after she revealed she had been raped by Mick’s brother Dean, and discovered that his Aunt Shirley was really his mother. The storyline for Mick’s departure is being kept under wraps for now but could relate to the Carters’ ongoing financial troubles. 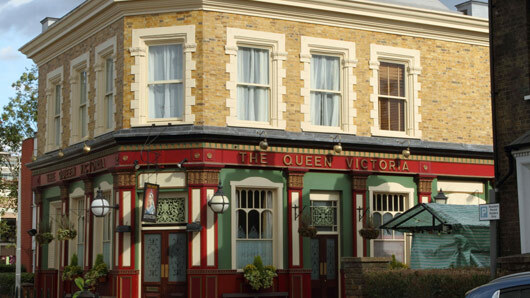 In recent weeks, the Carters have been plagued by a financial crisis that could seriously see their time at The Queen Vic come to a premature end. Dealing with Lee’s debts, Linda’s mother Elaine’s expensive medical bills and Babe’s meddling has left Mick and the family in a desperate position. Could the Carters reign over soap’s most iconic pub be over? EastEnders continues tonight (Friday) at 8pm. Former Blue singer Lee Ryan is joining EastEnders. The noughties boy band singer will be joining the London-based soap as Woody, a new Walford bad boy. Ryan will make his first appearance on the show in a few weeks’ time. Ryan told the Sun: “I’m so excited to be part of the show. Woody is the best role I could have wished for. 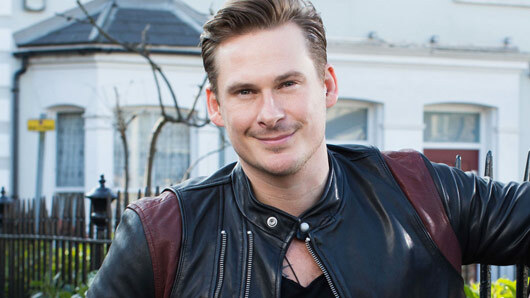 EastEnders Executive Producer Sean O’Connor said: “I’m delighted to welcome Lee Ryan to Walford as ‘Woody’ Woodward. “Woody is a man who has worked hard and played hard in bars, clubs and pubs around the world and has finally decided to stop wandering and put down some roots. “He’s going to ruffle some feathers and obviously break some hearts, so there’s a great deal to look forward to as soon as he bursts onto the square. Ryan is best known as one-quarter of Blue, a popular boy band in the early noughties. The group released three number one albums in the UK between 2001 and 2003 before going on hiatus in 2004. The band later reformed, released a greatest hits album and have performed intermittently ever since. Ryan is the third member of Blue to attempt a soap career. Former bandmate Simon Webbe played a role in River City last year and Duncan James is currently wowing in Hollyoaks.